ASICS GTC-ELITE continued to compete in various locals around the USA, including South Carolina's Greenville, Clemson, Columbia, Lexington and Gaffney; Charlotte, Raleigh, Kernersville and Mt. Olive, NC; New York City and Northport, NY; Jersey City, NJ; Grand Rapids, MI; St. Louis, MO; Knoxville, TN; Columbus, OH; Duluth, MN; Portland, OR and Lexington, KY.
Austin Steagall led a sweep of the top three places for the ASICS Greenville Track Club-ELITE as he shattered the course record in the popular Greenville News Run Downtown 5K with a time of 14:14. That bested former ASICS GTC-ELITE Adam Freudenthal's course record of 14:42 by 28 seconds, Steagall was followed by teammates Ryan Root (15:04) and Frank DeVar (15:17) in the fastest single-year top three finishes in the race's long (38 year) history. Last year's winning time was 15:28. Kimberly Ruck also was victorious as she ran 17:01 to win the event for the fourth time in the past five years. She did not compete last year, but holds the course record of 16:32 set in 2015. Alison Parris was third with a time of 17:34 after being runner up in both 2015 and 2016. Austin Steagall broke the Clemson Indoor Track & Field Complex facility record by 11 seconds in winning the 3,000 meters in 8:04.45 at the Bob Pollock Invitational. It was a personal best by 14 seconds. Mark Leininger also ran a PB with a time of 8:16.02 (8th place). Steagall returned to Clelmson and won the 5,000 meters at the Tiger Paw Invitational in a time of 14:08.68. Mark Leininger finished with a time of 14:27.89. Kimberly Ruck placed second in the women's 5,000 with time of 16:30.9. Alison Parris won the women's 3000 meters with a time of 9:46.12. Kimberly Ruck won the Tiger Tune-up at Clemson with a time of 9:33.06. Alison Parris was second in a seasonal best of 9:44.17 and Kate Dodds placed third in 9:56.93. Austin Steagall produced a huge personal best of 4:05.94 in the mile run. Ryan Root ran a personal best of 1:07:03 to place second in the Greenville Health System Half Marathon as he broke the previous course record of 1:07:52. Kimberly Ruck and Ryan Root both ran to third place finishes in their respective events at the 49er Classic hosted by UNC-Charlotte on Friday evening. Ruck, clocked 4:30.7 in the women’s 1500 meters and Root ran 14:37.62 in the 5,000 meters. Austin Steagall returned home to his alma mater to place second in the 1500 at the inaugural Trojan Invitational hosted by North Carolina's Mt. Olive University with a time of 3:52.57. Austin Steagall ran to victory in the 3,000-meter Steeplechase at the Tennessee Relays at the University of Tennessee in Knoxville. With a time of 9:09.39. Mark Leininger placed second in the 5,000 meters with a time of 14:23.31 and Ryan Root ran 14:49.13 for 21st place. Kimberly Ruck finished second in the women’s 5,000 meters in 16:49.18 and Alison Parris was fourth in 16:51.34. Austin Steagall and Kimberly Ruck both ran to impressive victories in the 40th anniversary of the TD Bank Reedy River Run 10K in Greenville, SC, with both becoming the 2017 Road Runners Club of America South Carolina State 10K Champions. Steagall finished with a time of 30:31 to earn $1000 and added an additional $200 for being the first South Carolina resident. He was followed by his teammate, Ryan Root, who ran a fine 30:48 to earn a total of $800 ($700 for second and $100 for second South Carolina resident). Ruck, finally won the biggest race in her hometown as she finished with a time of 35:11 and earned a total of $1200. Defending champion Dylan Hassett, who placed 3rd (35:39) was running her first race since December due to a nagging foot injury. Alison Parris was fourth in 36:17 ($400 + $50 = $450) and Kate Dodds was fifth at 37:06 ($300). Kimberly Ruck managed a ninth place finish among women with a time of 35:59 while Austin Steagall placed tenth overall (8th American) with a time of 31:12 at the Newport 10K in New Jersey. ASICS Greenville Track Club-ELITE announced a new partnership with Cocoa Elite. The company produces recovery and cardiovascular enhancing products based on cocoa and the flavanol ingredient. Ryan Root placed 19th in the USATF 25K National Championships in Grand Rapids, Michigan with a time of 1:23:08. Austin Steagall earned $400 for his runner-up finish in the Governor's Cup Main Street Mile with a time of 4:12. He was one-second behind the winner. Alison Parris ran 4:57 for fifth place and earned $100. Alison Parris and Mark Leininger both placed among the top three at the 11th Annual Jail Break 5K in Lexington, SC. Parris was second among women in 17:22, earning $350, while Leininger ran 14:38 for third and $200. Announced the addition of Tyler Morse to program. Morse graduated with a degree in Business Administration from Illinois State University, in Normal, IL. The Illinois native had personal bests of 14:15.8 for 5,000 and 30:13.4 for 10,000 meters and also has a best of 8:20.5 for 3,000 meters indoors. Mark Leininger ran a personal best for 10,000 meters at the Portland Track Festival, cutting 12.3 seconds from his previous best with a time of 29:06.16. That placed him 19th in a very good field, led by three-time Olympian and silver (10,000 in 2012) and bronze (marathon '16) medalist Galen Rupp of Portland. Rupp won with a time of 28:18.29. Austin Steagall ran 9:02.89 to place 19th in the men's 3000-meter steeplechase at the Portland Track Festival in Portland, OR. Austin Steagall returned to the track at Lewis & Clark College five days after competing in the Portland Track Festival to run the Stumptown Twilight meet. Once again running in the 3000-meter Steeplechase, Steagall improved 12 seconds from the previous Sunday to run a personal best of 8:50.58. Ryan Root ran 2:23:32 to place 22nd overall in the 41st edition of Grandma's Marathon in Duluth, MN. It was a personal best by over three minutes. Austin Steagall was featured on the cover of the summer issue of PACE Running Magazine. Kimberly Ruck began the July 4th national holiday with a quick trip around the 5-kilometer course on the beautiful Furman University campus to win the women's title in the 7th annual Red, White and Blue Shoes road race. Her time of 16:29 shattered the previous record of 16:58. Alison Parris traveled to Kernersville, NC for the holiday and competed in the 22nd annual Rotary Club of Kernersville's 4th of July 5K race. Parris placed 5th among a quality field of women runners with a time of 17:23 and earned $100 for her efforts. 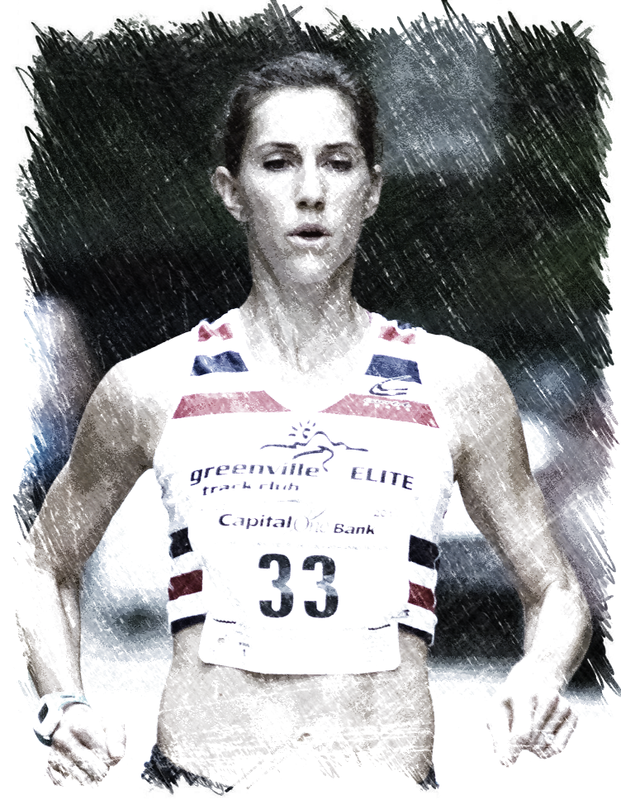 ASICS Greenville Track Club-ELITE athletes lead the South Carolina Road Race Rankings. The rankings included performances through August 5, 2017. Austin Steagall ranked first among overall men. His former teammate Ryan Root, who had recently moved to Tulsa, OK, was ranked second. Former ASICS GTC-ELITE runners Adam Freudenthal and Ricky Flynn are ranked third and fourth, respectively. The overall women's rankings are headed by teammates Kimberly Ruck and Alison Parris. Their teammate Kate Dodds is ranked fifth. Austin Steagall won his second consecutive Edouard Michelin Memorial 5K with a time of 15:03 over the out-and-back route with rolling hills. Tyler Morse easily placed second with a time of 15:22. Alison Parris won the women's title for the third time in four years as she clocked 18:18. It was the fifth consecutive year that both the men's and women's titles were won by ASICS GTC-ELITE athletes. 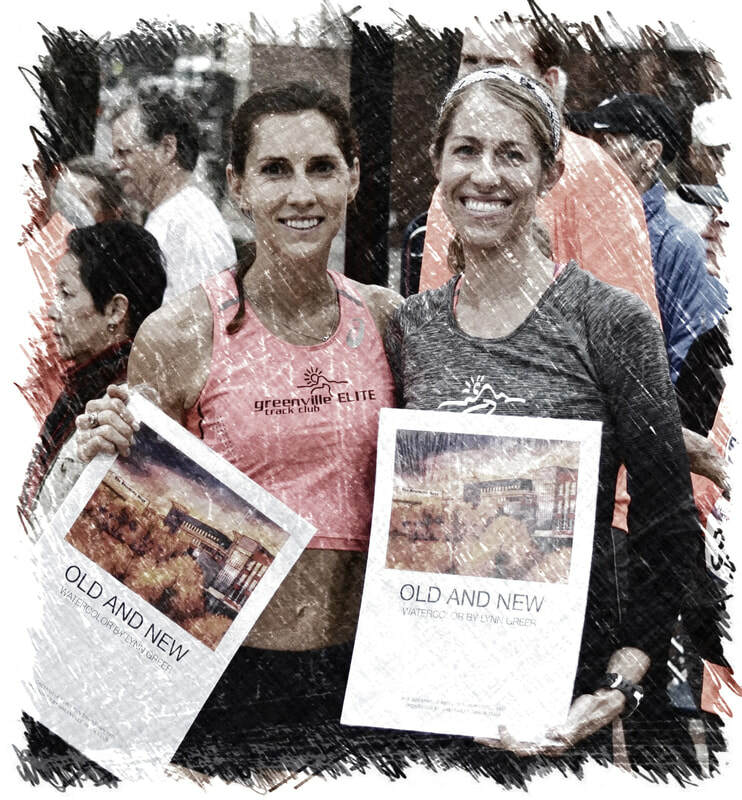 ASICS Greenville Track Club-ELITE athletes led the South Carolina Road Race Rankings. The rankings included performances through September 4, 2017. Austin Steagall was ranked first among overall men. The overall women's rankings were headed by ASICS GTC-ELITE teammates Kimberly Ruck and Alison Parris. Their teammate Kate Dodds was also ranked fifth. Kimberly Ruck placed sixth in the 40th edition of the Great Cow Harbor 10K in Northport, NY, with a time of 35:38 to earn $600 in prize money. Tyler Morse placed 13th with a time of 31:15. It was the first post-collegiate 10K for the former Illinois State University runner. Kimberly Ruck returned to Boston for her fourth appearance in the Tuft's Health Plan Women's 10K and ran 36:04 to place 11th overall and as the tenth American in warm and humid conditions. Austin Steagall continued to be ranked first among overall men the South Carolina Road Race Rankings through October 7, 2017. The overall women's rankings are headed Kimberly Ruck and Alison Parris. Tyler Morse won the Great GO! St. Louis Halloween 10K on a wet and windy Sunday morning running 31:11 for the victory and earning $750 for his efforts. Austin Steagall placed 21st in the 2017 USATF National Road 5K Championship in New York City. In one of the deepest fields of American runners ever assembled for a 5K road race, he finished with a time of 14:33. The race was won by USA Olympian Shadrack Kipchirchir in 13:57 as the top six men broke 14:00 minutes. Olympic silver medalist Paul Chelimo was fourth in 13:58. The field also included Olympians Leonard Korir, Hassan Mead and Donn Cabral. Kimberly Ruck competed in the Abbott Dash to the Finish 5K in New York City and placed 5th among over 5,000 women with a time of 16:59. She was the second American woman. Austin Steagall and Kimberly Ruck both ran to victories in the Paris Mountain Road Races 5K on a cool Saturday morning on the beautiful Furman University campus in Travelers Rest, SC. Steagall covered the 5K route in an impressive 14:43, running solo for most of the race. Ruck ran 17:07 to win the women's overall title. She currently leads the South Carolina Road Race Rankings. Announced that Eduardo Garcia will be joining the post-collegiate, Olympic development program. Garcia is a 2016 graduate of the University of Florida, in Gainesville, FL. He was a three-time NCAA qualifier at 10,000 meters and also ranks sixth on the all-time Gator indoor 5,000-meter performance list. Eddie has a personal best of 29:35.9 for 10,000 meters and a PB of 14:06 for 5,000 meters. He was the Southeastern Conference (SEC) 10,000 meters champion in 2015.